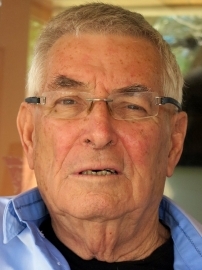 Yitzhak Livni (1934-2017) was born in Łódź, Poland, and emigrated to pre-state Israel with his parents as an infant. He grew up in Tel Aviv and graduated in Hebrew literature and history from the Hebrew University of Jerusalem. A writer, journalist and a media personality, Livni served as chief editor of the soldiers' weekly magazine, Bamahane, and from 1968 to 1974 was head of the IDF's radio station. From 1974 to 1979 he was CEO of the Israel Broadcasting Authority, later chairman of the steering committee for the experimental Israeli commercial Channel 2, and from 2004 to 2007 - chairman of Channel 2 News Company, Israel’s foremost news organization. He edited and presented numerous television and radio programs, and since the late 1970s was host of a popular weekly radio program, "Between Friday and Saturday - A conversation for Two". Livni served in a number of public offices, including chairman of the judges' panel for the Sapir Prize for Literature, member of the judges’ panel for the Israel Prize, member of the board of trustees of Ben-Gurion University of the Negev and chairman of the "Words and Images" Association that conducts and documents in-depth video interviews with great Jewish writers and thinkers of our time. He also served as chairman of the Institute for the Translation of Hebrew Literature. Livni published his first stories in the early 1950s, and was a member of the Likrat literary circle. The Substance of Life: Fragments, his first book, published in 2015 to exceptionally enthusiastic critical reception, was pronounced “literary event of the year” by Haaretz Magazine. In 2016, Livni received the Ministry of Culture Prize for Debut Authors.